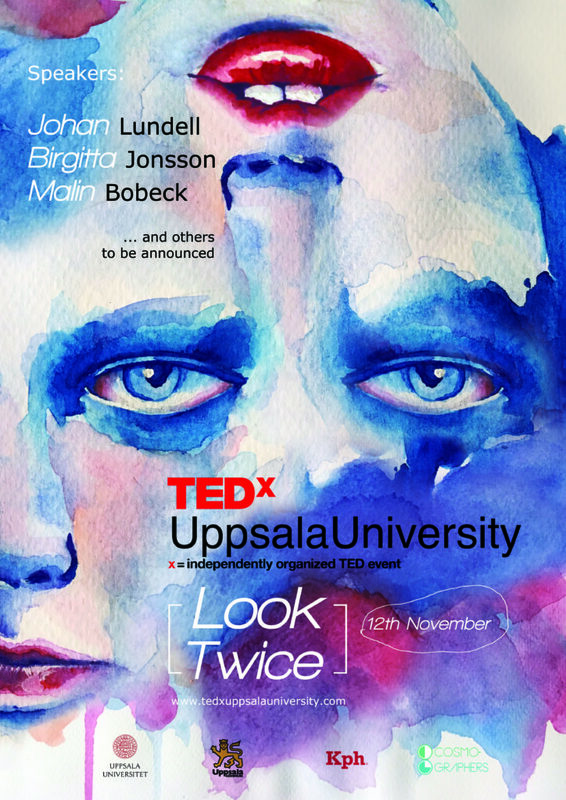 The first TEDx event in Uppsala was hosted in 2013 and ever since there has been an annual gathering where people from all parts of society has met and listened to ideas worth spreading. 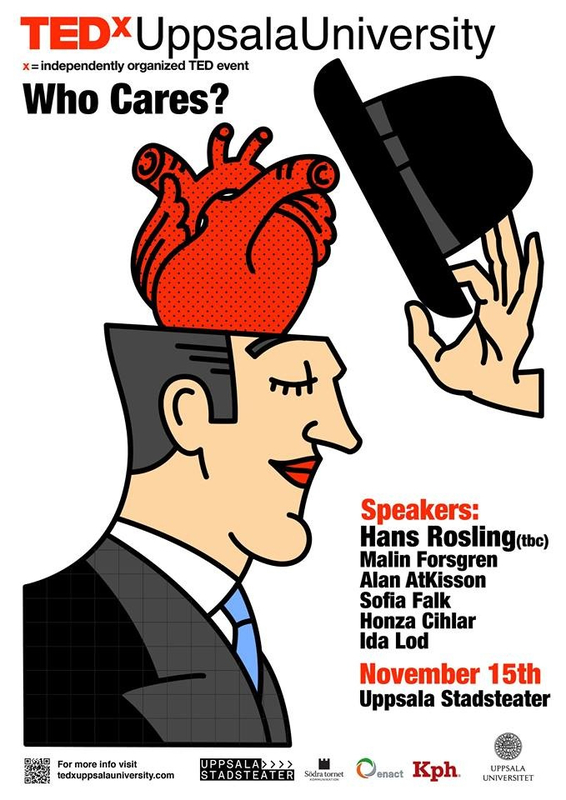 Here you can find the talks from all of those previous years. Every time we take a decision or an action we do it based on the answer of the question “Why?” Now, we want to ask – Why Not? Can we bond with robots? 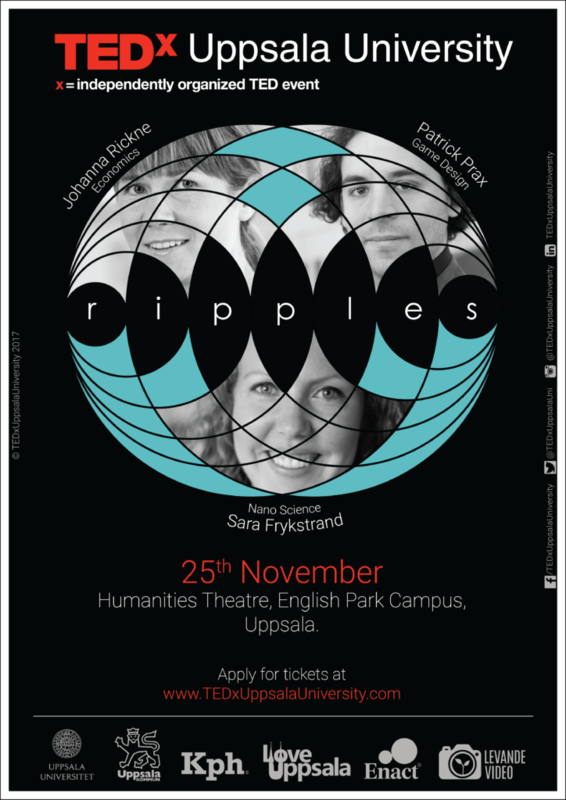 Ripples! We’re talking domino effects, waves and how small things can have a big impact. Look twice meant that we were looking for ideas that are worth a second look, give a new perspective on the ordinary, something that’s so small that it takes a second look to see its true intricacy, or just something so beautiful that you can’t help but look twice. Cities Meant For People or People Meant For Cities? The term U-Turn is an enigma. The world is not a straight and narrow road. In the course of everyone’s life, there is a change of direction, and there is a turning point. It could be for the better, it could be for the worse but one thing’s for sure, it made an impact. 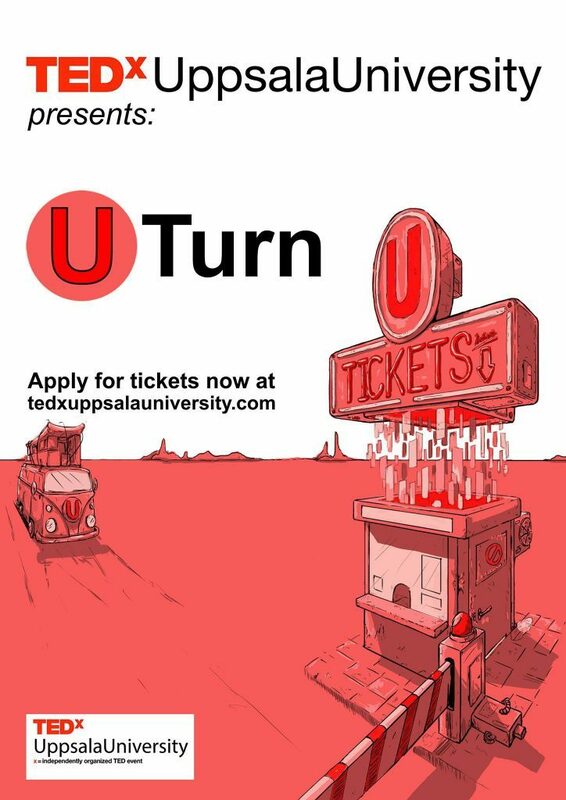 Making a U-Turn is about going against the grain, refusing to conform and taking the road less traveled. “Women and Children First” or “Every Man For Himself”? Who Cares? With this provocative and playful approach, we want to reflect on today’s world and leave room for everyone to find their own answer. We all have something that matters to us; family, the environment, career, human rights, justice, victims in wars and conflicts, or finding happiness. But do we care enough to make a change? 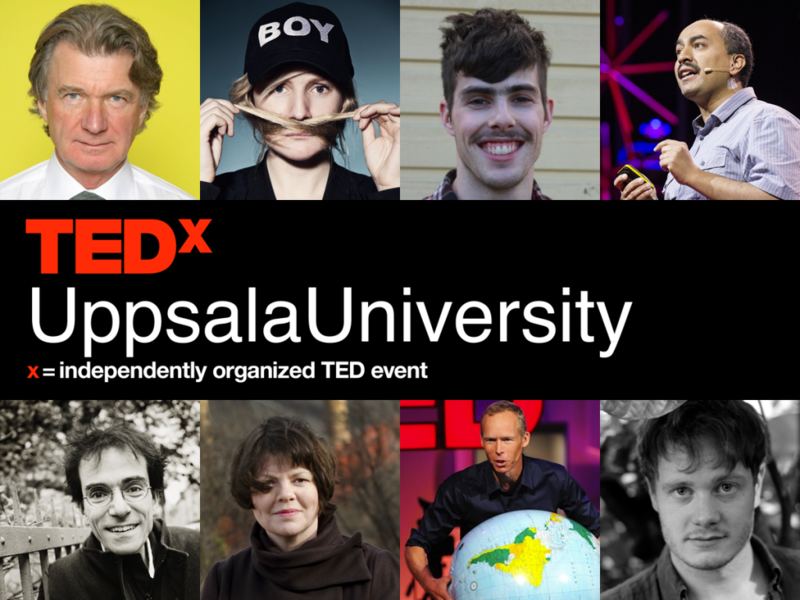 The 1st ever TEDxUppsalaUniversity! Societal challenges are global, interdependent and increasingly complex. They require systems, societies and individuals to be able to respond with greater flexibility, speed and creativity. In the face of so many challenges how resilient are we really? How do we avoid bankrupting nature?